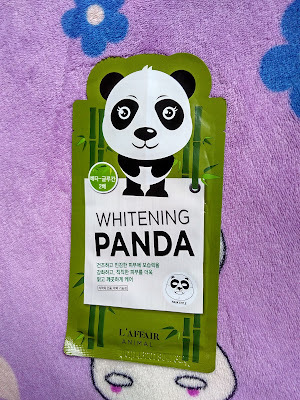 Whitening mask replenishes drab and rough skin with brightening energy for beautiful and smooth skin. Coconut water with moisturizing effects, paper mulberry, mulberry bark extract and whitening ingredient niacinamide make skin translucent and invigoranted. The SNP animal panda whitening mask comes in a green plastic packaging with a cute printed panda on it. It has very mild fragrance noting bothersome. This mask also had a marked cooling sensation on my skin. 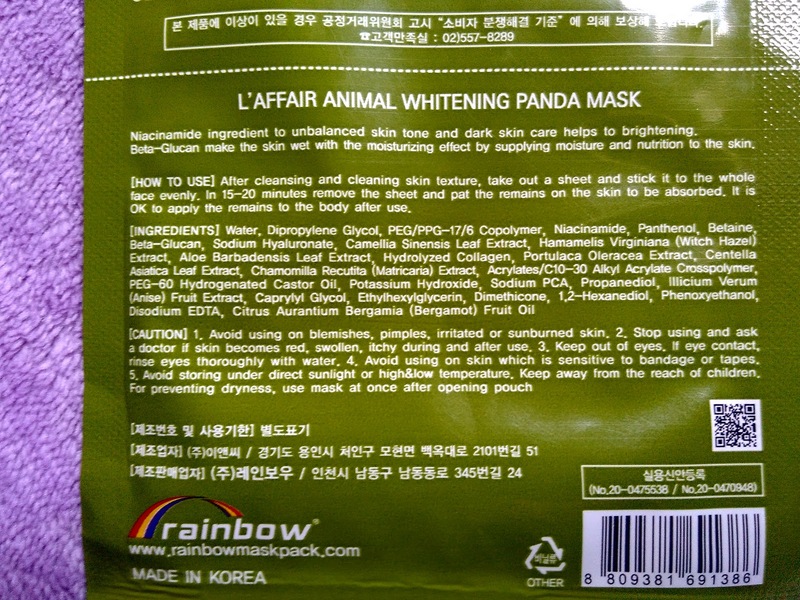 Almost similar to the other, my skin has absorbed most of the essence and it doesn't feel sticky. 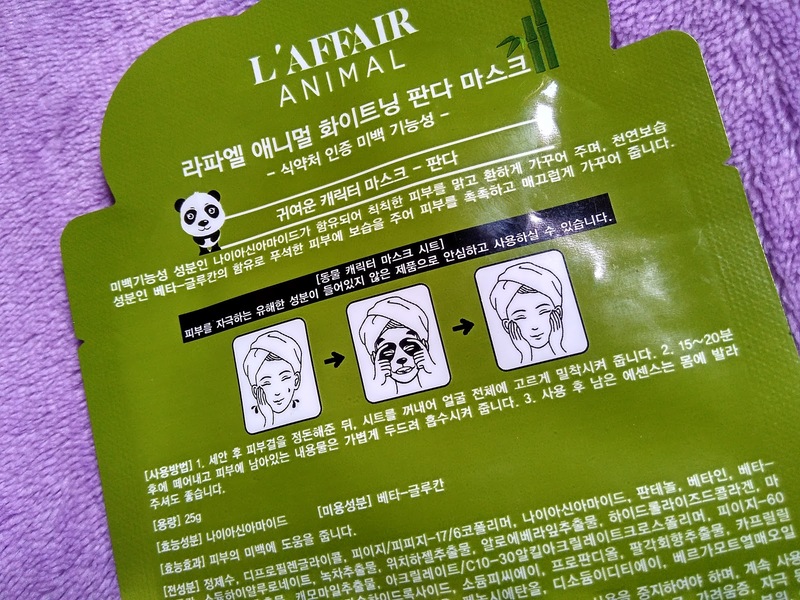 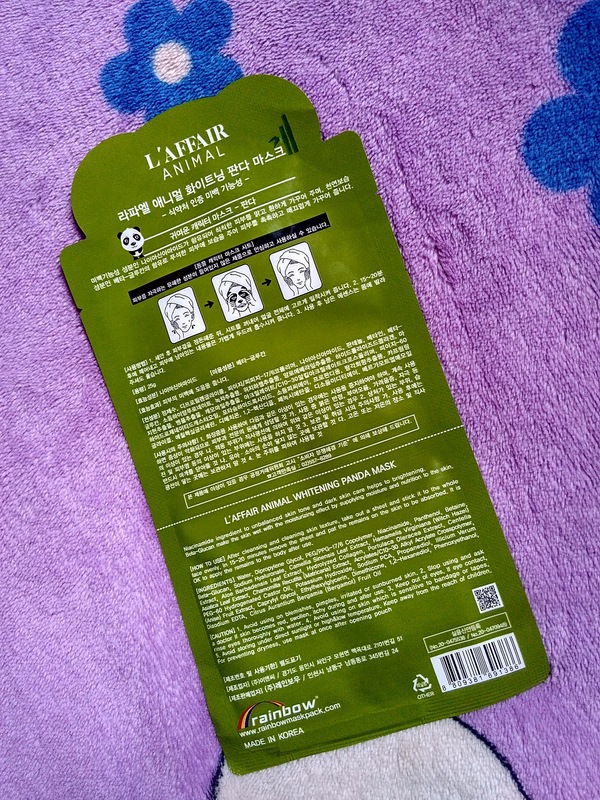 The mask hydrate my skin quite well but not brighten the skin significantly after removing it.